For a limited time this fall, Arby’s is taking everything fans love about the brand and piling it onto one towering sandwich — the Arbynator. 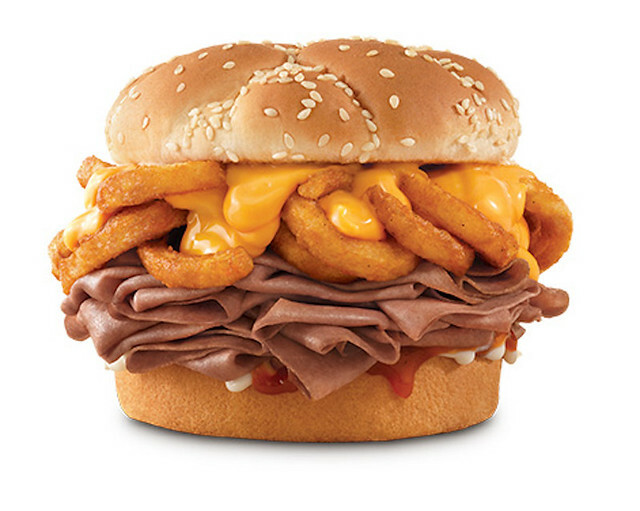 The Arbynator, available on November 19, tops thinly sliced Roast Beef with Curly Fries, cheddar sauce, Arby’s sauce and Horsey sauce on a sesame seed bun. “I’ve been trying to get fries on a sandwich for five years, and we’re finally going to make it happen. The Arbynator will be available in classic, double and half-pound varieties. The double Arbynator has two times the amount of roast beef on it than the classic, and the half-pound Arbynator boasts the most roast beef of the three options. These three new sandwiches will be available until December 23.